"[Sharon is] living disproof that no great actress is a beauty." "The marital explosions...as acted by Sharon Sharth, bite. The anger and grief are too forceful to be anything but authentic. "Ms. Sharth's work is always deeply moving... she is exceptional." “WELL WRITTEN AND AMUSING… fast-paced yet thoughtful." "Sharth undergoes a stark and unsettling change toward the end of the play …. Sharth’s portrayal of the change in Mrs. Gill is remarkably haunting and effective." "Ordinary Lives provide great drama. Sharth as Mrs. Gill is a gracious nurturing bedrock… impeccably portrayed playing a pivotal part in the play’s hard-hitting cliffhanger." "A very experienced, quality actress, Sharth brings a much needed sensitivity to her Mrs. Gill, the stalwart emotional flagship of this family, whose breaking could break anyone’s heart." Sharth turns in an excellent, thoughtful performance that lends further coherence to this unusually well-crafted and moving drama." "Mrs. Gill (Sharon Sharth) provides the stability the couple needs. How the characters communicate and cope with each other is a fascinating study in conflict, denial and nuances of accommodation." "See Rock City – WOW! The wonderful Sharon Sharth all sunshine motherly warmth as Mrs. Gill." "... raw scenes in which all six characters [including Sharon Sharth, Jane Kaczmarek, and Gregory Harrison] express themselves with searing honesty .... the performances chime with veracity." "Sharth shines as a worldly yet vulverable woman." "Sharth is a perky delight, making Meg energized but very real." "Meet fetching, successful Meg (Sharon Sharth, funny and convincing) ..."
"Sharth, fighting all sorts of conflicting impulses, shows some real dramatic chops here." "Sharth, whose Meg is so smart and beautiful, really stands out as her character wrestles with priorities, putting her needs and desires on the line." "Meg, empathetically played by Sharon Sharth, happens to be considered the successful dater of the three as she's the good-looking, charming single lady of the trio..."
"...A dazzling performance by Sharon Sharth in the leading role ... a magnificently powerful performance ... an actress of extraordinary range and talent ..."
"[Sharth is] lovely, expressive ... and gives a fearless performance, interestingly dark." "...A powerfully poignant Sharon Sharth ..."
"Sharth is an amazing Susan, her emotions ranging widely from gaiety to despair. We journey with Susan on her descent into madness." "Sharth's Susan is both wide-eyed and perceptive, often laughing to herself when not unleashing her acerbic sarcasm ... Sharth also paints a middle-aged woman who is sensitve and vulnerable." "Sharon Sharth tackles the role with impressive force. Sharth becomes, in turns, dreamy, bitter, sardonic, defensive and disquieted as she wanders toward the ultimate explosion. 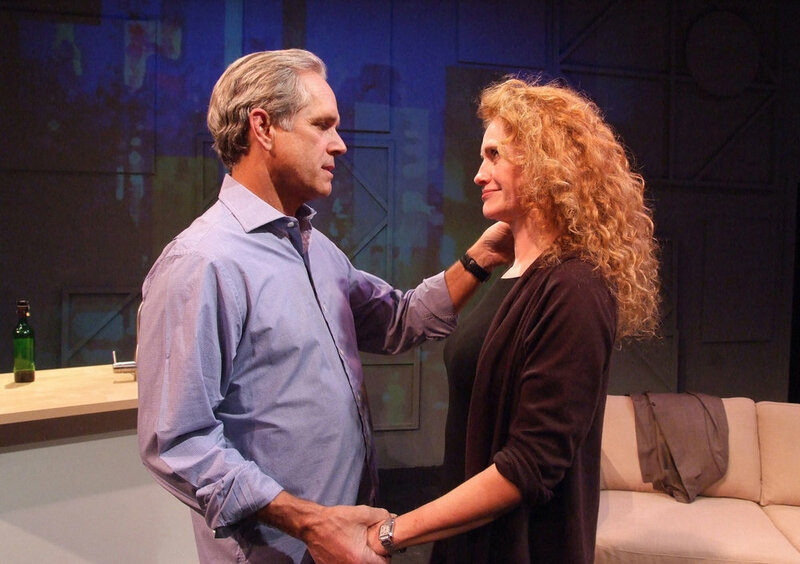 It's quite a performance ..."
"Susan, played by the beautiful and extraordinarily gifted actress, Sharon Sharth, dominates the stage with her portrayal of a woman caught in a loveless marriage." "Sharon Sharth's Margaret is magnificent... Her performance is mesmerizing from start to finish... nuanced and award-worthy." "Margaret, with her amazing red hair and fine features, is played by Sharon Sharth... We watch her grow as she reveals bits and pieces of her past, and we slowly begin to understand the backstories that made her the way she is." "... Sharth is remarkable for the dimension she brings to her character as she swings from anger and despair to hope and excitement and eventually balance." 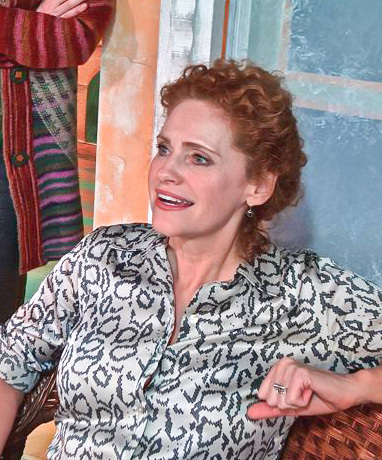 "... wonderfully played by Sharon Sharth as Margaret... splendid on-stage emotional chemistry and performances... 'A Perfect Ganesh' is not only deeply moving, but is filled with comedic moments..."